Birmingham | The Bloxwich Telegraph – incorporating The Bloxidge Tallygraph and Walsall North News. Founded 2006. The Bloxwich Telegraph – incorporating The Bloxidge Tallygraph and Walsall North News. Founded 2006. Readers to beat a path to Walsall bookshop this Saturday! 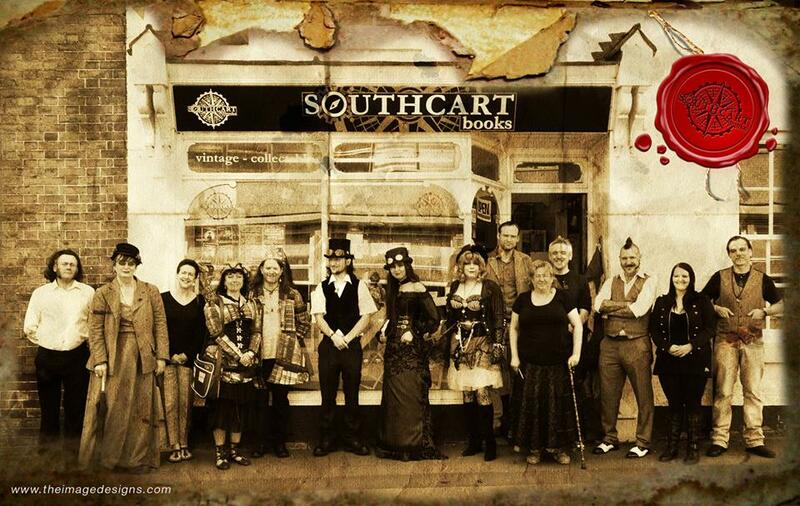 Southcart Books’ last event was a splendid Steampunk Day! To end their Walsall Town Festival festivities, Southcart Books in Lower Hall Lane, Walsall, are having a little bookshop party showcasing some of their local and regional author friends’ talents on this Saturday 25th July. And there’ll be quite a variety of writing talent on offer, all of whom will reading from their work in crime fiction, science fiction, fantasy, horror and more! The Master of Ceremonies will be the Editor of The Bloxwich Telegraph, A. Stuart Williams, who is himself a local author. Works by these authors will be on sale, subject to availability, and may be signed on request. All are welcome, and ADMISSION IS FREE! Light refreshments will be available. Get there early if you can, as these events are always highly popular! Southcart Books is the area’s ONLY independent bookshop, and is located at 20 Lower Hall Lane, Walsall, WS1 1RL. You can also find them on Walsall Market today with their mobile bookstall, as part of the special Walsall Town Festival market! A brand-new television station is all set to launch in Walsall this Saturday evening – and it plans to cover Birmingham, the Black Country and Solihull from its studios in the heart of the town! Big Centre TV will broadcast digitally to an estimated 2.3 million viewers across the region, from the Goldmine Centre in Lower Hall Lane, where it has joined forces with Walsall Studio School to get a full programme of local and regional news, light entertainment, comedy, cultural and music shows, children’s programming and nostalgic TV including re-runs of the much-loved West Midlands-based ATV soap ‘Crossroads’, all ‘on the air’ via Freeview Channel 8. Ofcom’s broadcast licensing committee awarded the TV licence to Kaleidoscope TV, which is the holding company for Big Centre TV, following the failure of City TV in 2014. The new station is the brainchild of enthusiastic co-owners veteran ATV and Central newscaster Mike Prince and ex-teacher Chris Perry, who is the channel director at Big Centre TV. Their enthusiasm is shared equally by Peter Stack, creative director and head of Sixth Form at Walsall Studio School, Dan Parkes, the school’s principal, and Kevin Davis, CEO of the Vine Trust Group, which runs the Goldmine Centre. A wealth of experience as well as the latest technical expertise is behind this new breed of local broadcaster. Well-known ex-Central TV sports broadcaster Bob Hall is head of news and sport while Shropshire journalist Jennifer Meierhans and Birmingham broadcaster Marverine Cole are senior news producers. Technical, production and studio staff and a team of roving video news journalists provide the skills needed to get the show crackling across the digital airwaves to homes across the region. Legendary radio DJ and broadcaster David ‘Diddie’ Hamilton also has a regular chat show with some fascinating guests already ‘in the can’ and more to come. Audiences are invited to selected shows, with notifications on the station’s Facebook page and presumably via their website, which is also launching on Saturday. The station is sharing a media studio, presentation suite and four hundred seat auditorium – which also doubles up as a studio – with the school, and as a result students will benefit from valuable professional experience gained through the partnership. As well as lighting and sound equipment, the station has the use of broadcast-quality cameras and a ‘TriCaster’ green screen production system, allowing the use of virtual backgrounds for factual programming and news. A preview is already being shown on Freeview 8. Viewers will probably need to re-tune their Freeview boxes or TVs to pick up the channel initially. It is not currently on Sky or Virgin. Regular scheduled programmes will be broadcast by Big Centre TV seven days a week from 6pm on Saturday 28 February 2015, and the station also plans to make programmes viewable online. Check out their website and Freeview’s programme guide for scheduling. Celebrate the Queen’s Jubilee – Victorian style! Our good friends at theatre company “Don’t Go Into The Cellar!” – best known in Bloxwich for their popular past production of ‘Holmes Alone’ and the forthcoming play ‘Jekyll the Ripper’ at Bookmark Bloxwich Theatre – are to bring a slice of vintage entertainment to Birmingham this June, to celebrate the Queen’s Jubilee. Chamberlain Square’s Library Theatre will play host to “Ta-ra-ra Brum-de-ay!” on Friday June 1st at 2.30pm and 7:30pm, and the performance will feature star turns from Victorian and Edwardian music hall stars such as Marie Lloyd, Dan Leno, Tod Slaughter and Le Petomane – or at least, actors impersonating them! The fun interactive show will feature many well-known music hall songs and comedy skits, and audience participation will be actively encouraged! The vintage variety show, in the style of the BBC’s much-loved series “The Good Old Days”, will be the first in a proposed series of performances across the West Midlands region. The Birmingham theatre company has already established itself as the UKs only professional troupe that specialises in original Victorian ghost and horror tales, Music Hall revivals and Sherlock Holmes shows. The theatre company’s Director, Rachel Green, is delighted that Cellar is able to help Birmingham celebrate the Jubilee in traditional style, the way that Brummies would have done 100 years ago or more. Tickets are available to purchase at the company’s website, www.dontgointothecellar.com. However, two lucky winners can each win a pair of free tickets, either to the matinee or evening performance, by answering this simple question. Which of the following is a famous Music Hall song? Email your answer to thebestcellar@gmail.com, with your name and a contact telephone number. Closing date for entries is 5pm Monday 21st May 2012. Spooky theatre company auditioning in Birmingham! Great news if you’re a local thespian looking for a challenge that’s both fun and frightful – professional theatre company Don’t Go into the Cellar! is holding auditions for West Midlands-based actors and actresses at Birmingham’s Central Library Theatre on 7 February! The acting troupe which chilled and enchanted visitors to the Black Country Living Museum and other regional venues late last year with their unique and original production The Legend of Spring-Heeled Jack, and is already lined up for two spooktacular shows at the Bookmark Theatre in Bloxwich this year, is famed for their performances across the UK. And with thrilling adaptations of Victorian chillers, mysteries, Sherlock Holmes and Steampunk adventures as well as Music Hall evenings, this remarkable theatre company has already established itself as the UK’s only professional troupe that specialises in original Victorian ghost and horror tales, Music Hall revivals and Steampunk shows. So if you have a flair for Victorian gothic and would like to be considered for the Company’s forthcoming shows throughout 2012, please email your CV and headshot to Company Director Rachel Green at thebestcellar@gmail.com or telephone 0777 2 572 060. Free Victorian Superhero Show in Birmingham for Families this Christmas! Professional Theatre Company “Don’t Go into the Cellar!” is bringing a FREE interactive family theatre show to Birmingham’s Library Theatre next week with the Steampunk superhero adventure, “The Legend of Spring-Heeled Jack”. The original piece is based on the urban myths surrounding the Victorian bogeyman – superhero figure who gripped the imaginations of Britons across the United Kingdom during the nineteenth and early twentieth centuries. Jack was even sighted in parts of Birmingham and the Black Country during the 1880s! The theatre company has already established itself as the UKs only professional troupe that specialises in original Victorian ghost and horror tales, Music Hall revivals and Steampunk shows. The theatre company’s Artistic Director Jonathan Goodwin is delighted that Cellar Theatre is giving families across the region an opportunity to see exciting and fun filled theatre for free in these cash-strapped times. The Bloxwich Telegraph is THE online news magazine for Bloxwich and district. It has its origins in the scurrilous Victorian newssheet The Bloxidge Tallygraph. The website of the same name first appeared online in Summer 2006; that site was succeeded in turn by the present Bloxwich Telegraph several years later. We have always primarily focused on Bloxwich, Little Bloxwich, Blakenall Heath, Leamore and Birchills, England. However, we are now expanding to extend some coverage to Walsall town centre. Our social media (see below) in addition aims to cover the Willenhall and Short Heath area and relays locally relevant news links from Walsall borough and beyond. This site badly needs a refurb in places, and we now have some new facilities due to a hosting upgrade, so please bear with us while we put things in place. Announcements will be made as we go along. The Bloxwich Telegraph includes a number of local history and heritage articles, some of which are currently being reformatted. More will be added. Historic images included therein are, unless otherwise indicated, used by kind permission of Walsall Local History Centre. Get in touch via our social media or this site’s contact page if you have a story to tell or an event to promote! This site will no longer be updated, due to ill health. Thank you for reading over the years. News & heritage for Bloxwich, Walsall & Willenhall. Formerly The Bloxidge Tallygraph. Est. 2006, inspired by a Victorian news-sheet. Edditid by a Bloxidge Mon. The Bloxwich Telegraph is Back! Bloxwich Carnival Senior Citizens’ Party 2017 pictures posted! Bloxwich Christmas lights saved thanks to donors! 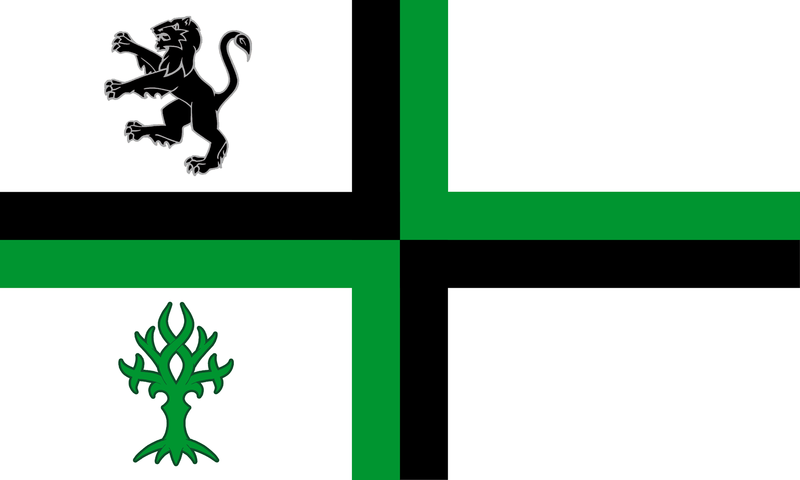 The Bloxwich Flag was formally registered with The Flag Institute in 2017.To find out more, click on the flag shown here, or visit the Home of the Bloxwich Flag page on Facebook. A major project by young people from Walsall Academy. Historical advisor: Bloxwich Telegraph Editor Stuart WIlliams. The Bloxwich Telegraph is the online magazine for Bloxwich, Blakenall Heath, Leamore and Birchills, England. Copyright 2006 onwards.